Coyote howler from MK Unique Designs these are great predator calls. This call will produce all your great sounding coyote howls from invitation howls to territorial howls as well as Yips, Ki-Yi's and barks makes a great gift for the hunter in your life thanks for looking,good luck hunting,send us your kill photos The MK Unique Designs predator call is extremely versatile, easy to use, and can provide a wide variety of sounds to attract predators. 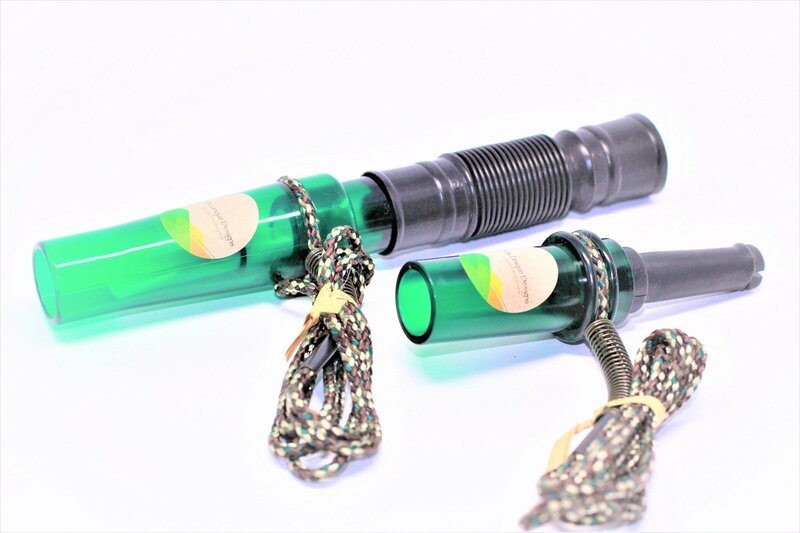 The bite reed design allows you to perform high-pitched rabbit distresses, and many other popular distress cries. Great for bobcat, Fox, coyote, Bear.